Our News & Events: Don´t miss them! Stay informed: We provide you with information about relevant events for your projects and interesting news on our technology. 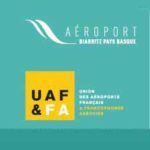 This event, organised as part of the UAF&FA, will be held in 2019 by the Biarritz Pays Basque Airport, and will be the highlight of a year's work by the UAF&FA commissions. This exhibiton, which aim to become the major professional event for French and French-speaking airports, will bring together the French and French-speaking airport community, and will therefore be a unique place for exchanges and meetings between airports, their partners and more generally their environment. In October TKH Airport Solutions will be present at the leading international Exhibition for the Airport Industry in Munich. At our booth we will show you our newest CEDD®-AGL solutions, like CEDD® stopbars and de-icing platforms. We are looking forward to meet you in Munich! The Inter Airport is an international Exhibition for Airport Equipment, Technology, Design and Services. The exhibition will take place at the Munich Trade Fair Centre in Germany. 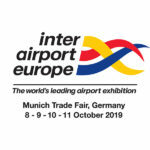 It is renowned as the leading one stop shop event for the entire airport industry, Inter Airport Europe is the first choice for airport operators when it comes to sourcing the latest airport equipment, technology and services for ground handling, terminal operations, airport IT and airport design. With its international audience of industry professionals from airports, airlines, air cargo carriers and aviation support the exhibition offers suppliers to the airport sector a unique marketing platform. If you want to know everything about the latest solutions to increase your airfield capacity, visit our booth at hall B5. 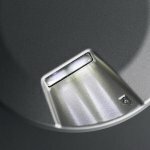 Meet our new Precision Approach Path Indicator (PAPI) in LED technology. Since we introduced it at the Inter Airport in Munich in October 2017, several of the ICAO certified LED PAPI lights have already been installed. It’s a great addition to the TKH Airport solutions portfolio that enables you to install all important airfield lighting elements in robust LED technology. TKH Airport Solutions was proud to be part of the world’s leading airport exhibition in Munich. On an attractive stand of around 130m², we presented three new products to complete our range of LED AGL – the LED PAPI, the complete SFL solution and an upgraded CCR. Particularly the LED PAPI was met with great enthusiasm. The main attraction of our stand, however, was the presentation of the possibilities of AGL with CEDD ® technology. 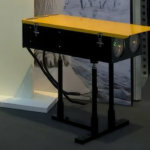 We demonstrated this inductive technology on a live installation and showed the connection and cabling of the lights separately. A happy hour with interesting discussions, networking, drinks and snacks rounded off Wednesday evening and enabled us to relax after the busy days. Thank you to all our guests on the stand. We appreciate your time and enjoyed our discussions with you. Looking forward to seeing you again soon. 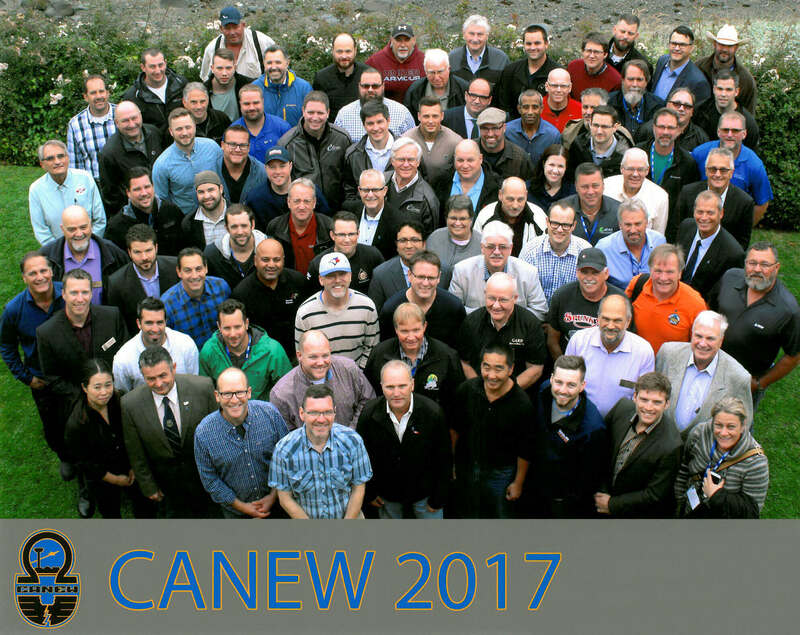 TKH Airport Solutions was proud to attend again this year CANEW event in Campbell River, BC. CANEW is always a good place to meet and interact with airports electricians from all over Canada. 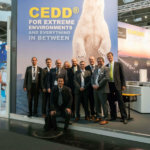 Thanks all for the nice discussions, and for visiting us at the tradeshow to talk about CEDD technology. Looking forward to coming back next year and to telling you more about our first installation of CEDD in Canada! Induperm A/S and Use System Engineering bv exhibited together as TKH Airport Solutions on the Danish Pavilion at the Airport Show in Dubai. This important event attracted a wide range of national and international visitors and provided an excellent platform both for discussions with existing customers and also for connecting with new contacts. 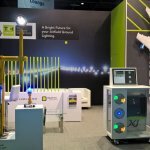 We showcased the possibilities of our innovative CEDD technology within our self-contained demo unit whilst reinforcing our strong market position with the existing range of LED AGL products. The demonstration of runway, stop bar and taxiway areas with the fun addition of an aeroplane attracted plenty of interest. Numerous discussions took place in all directions, proving that this exhibition is an important date in our international calendar. On 15th March, the first TKH Airport Day was held at the TKH Experience Center in Amsterdam with international visitors from Latin and North America, Northern Africa, the Middle East, Europe and Asia. Participants at this information-packed day had the opportunity to find out more about the TKH company and also do a tour of the Experience Centre within TKH to see the wide range of applications which the group covers. The main part of the day, however, was devoted to the new CEDD technology and included expert presentations and a lively audience participation discussion around this technology. In addition, AGL asset management at Schiphol was presented and discussed. A great event with good international networking and information-exchange opportunities was enjoyed by all. A technical paper presentation at the IESALC Technology Meeting in San Diego, CA has been awarded the „Best Paper Award“. TKH Group NV (“TKH“) has announced the completion of the acquisition of the Airfield Ground Lighting (AGL) activities of Hella KGaA Hueck & Co ("HELLA").